Good. Stains on Side **SHIPPED FROM UK** We believe you will be completely satisfied with our quick and reliable service. All orders are dispatched as swiftly as possible! Buy with confidence! 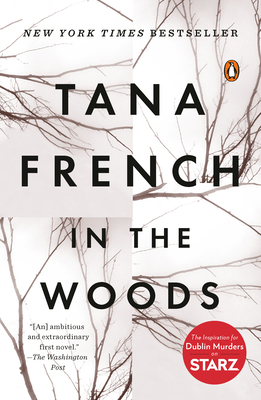 I read constantly, a lot of mysteries and others, and I found Tana French so far out front of the pack that I truly couldn't believe it. This book is the best book I read all year. I immediately went looking for her other books and bought them. She is now my favorite author and hope she keeps writing. Her number two was as good as this one and I didn't think that was even possible. I just started number three. I am in heaven. I?m afraid, in my case, In the Woods, didn?t quite live up to the advance hype or my expectations. Though an intriguing character study of sorts, the story itself gets bogged down in past history and the plot moves down trails that simply peter out. Much is made of the protagonist?s experience as a boy, and one would expect that history to play a part?even a small part?in the resolution. One would be sadly mistaken in this case. The ending is standard boilerplate police procedural and any sympathy for the protagonist is flushed by his immature (and ultimately) unexplained attitude towards his partner. There?s some good writing in the woods, but all the loose parts just seem to rattle around without coming together. This would be 4 stars for anyone who likes lots of detail, I prefer the 'John Grisham' spare style. There are several characters, most notably the narrator's landlady, who don't move the story forward and are a distraction. Still, it's an interesting mystery, with believable, human and flawed characters. I liked the ending - much like in real life, after the shock of even a horrific event, people go on with their lives. This was a good, easy read. It read like watching an epoisode of a detective television show. Good story - where's the ending??? The book was pretty good -- it's a mystery that keeps you on your toes - keeps the pages turning, makes you want more... but then, it leaves you completely hanging at the end. It really has no ending. It's like the author was under a deadline and didn't have time to think of a good way to end - so she just stopped. Pick a different mystery to read... one that doesn't leave you just as clueless as you started off.